It is open every day except Christmas Day, 10am-4pm in winter and 10am-6pm in summer. Volunteers are in the garden every Thursday morning. Please ask them for further information about the planting. 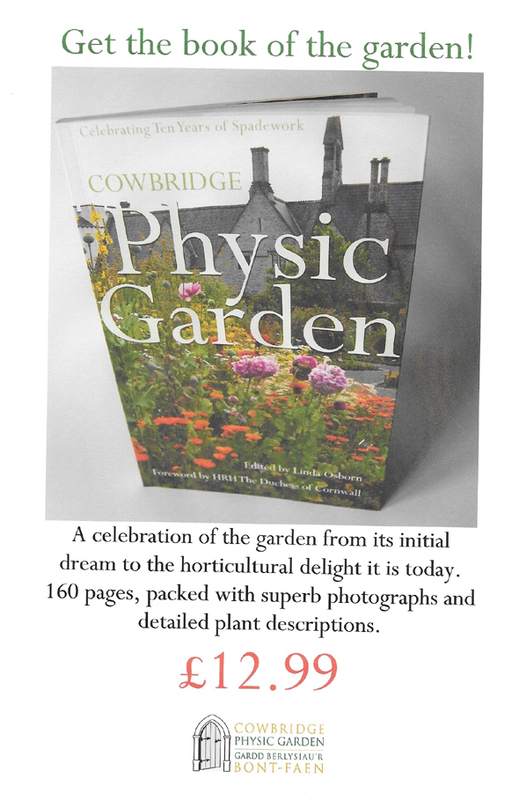 Cowbridge Physic Garden: Celebrating Ten Years of Spadework Edited by Linda Osborn. Now we have an excellent book which explains exactly how they did it — along with fascinating information about the plants in the garden. The book by the Physic Garden volunteers commemorates the tenth anniversary of this unique garden. Dan Clayton Jones, President of the Cowbridge Physic garden, sets out the genesis of the project on the vergrown site of the eighteenth century Old Hall Gardens. His outline of the achievements since 2003 pays homage to the considerable expertise and enthusiasm of everyone involved. The mini-Sotheby’s auction featuring a wish list of all the items needing funding was an inspired idea — which could be copied by community garden projects everywhere. The chapter on Physic Gardens & Herbal Medicine by Hilary M. Thomas sets out the historical context from the earliest Greeks to modern day interest in plant-based medicines. Hilary goes on to describe the approach taken in the development of the Cowbridge Physic Garden. No plans were discovered of the original walled garden, but nineteenth century OS maps indicate a formal layout with paths and beds. This design was still identifiable in part when clearance of the site began. The design brief was to create an eighteenth century physic garden incorporating twelve central ‘medicinal’ beds each devoted to a particular illness or part of the body. The chapter on the Medicinal Plants by Sue Duffield, Robert Moore and Linda Osborn with assistance from Hilary is the largest section of the book. It is extremely well researched and structured and for each plant provides the various names, description, associated history, folklore and myth and medicinal use. There are fascinating facts and legends to be discovered on every page. I particularly enjoyed the history, folklore and myth sections and will be re-visiting those pages again. The book concludes with an insight into the life of the garden provided by Val Thomas’s Diary, describing the work by volunteers on a monthly basis. It is both entertaining and hugely informative. 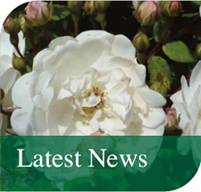 You can keep up to date with Val’s Diary on the Physic Garden website. Last but by no means least full credit must be given to the beautiful colour photographs by Robert Moore and the watercolours by Gillian Griffiths. 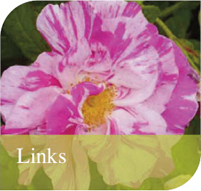 The book is dedicated to the Physic Garden’s Volunteers, past and present. I would recommend it to all garden enthusiasts.